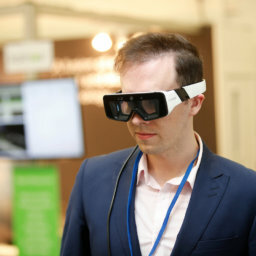 The way in which augmented reality, technology and the creative industries are combining to form a new engine for economic growth was the subject of the 2018 Beijing International Forum on Creative Economy and Summit on Augmented Reality Industry Development which took place in Beijing from May 28 to June 1. Delegates explored how augmented reality, technology and the creative industries are combining together. In his address to delegates, President Xi Jinping’s issued a call to boost the vitality of the domestic cultural and creative sector by upgrading its industrial structure, fostering major brands and boosting consumption. China has consistently moved toward a more creative, consumer-driven economy. The value added from China’s culture-related sectors clocking $463.9 billion in 2016 a 13% rise from the previous year, according to data from the National Bureau of Statistics. The full article can be read on the UN conference for trade and development website.